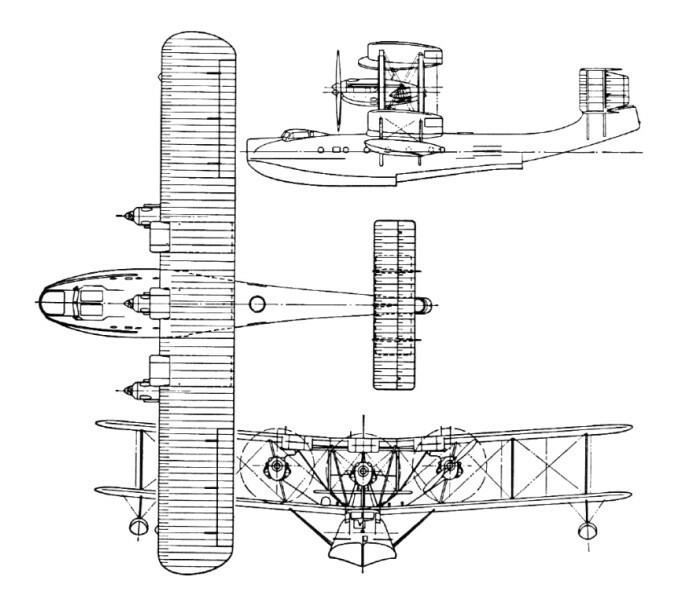 The Blackburn R.B.3A Perth development of the Iris was to replace the earlier flying-boat in service with No. 209 Squadron at Plymouth. The Perth differed from the Iris V primarily in having an, enclosed cockpit, and a hull covered with corrosion-resistant material. An improvement in armament was the installation of a 37mm gun in the bow position for anti-shipping work, but there was also an alternative rail-mounted 7.7mm machine-gun, as on the Iris. The Perth's service introduction came in January 1934 when the second aircraft was delivered to Plymouth. At that time the first was still under test at Felixstowe, but by 31 May 1934 all three from the first contract had been delivered. A fourth Perth had been ordered subsequently and flew in April 1934, but this was retained at the MA&EE Felixstowe for experimental work. Problems with the tail unit required the flying-boats to be modified at Brough, keeping them out of service for several months. The first Perth was lost in heavy seas during September 1935, and two of the remaining three were eventually struck off charge in 1936. The last aircraft survived a further two years at Felixstowe.